DISCLOSURE: Freda's Voice received no compensation for posting. Freda's Voice received a dress for review purposes. Opinions are 100% owned by Freda's Voice. It's the season to prepare for proms, grads and weddings. So once again I introduce you to Promgirl. 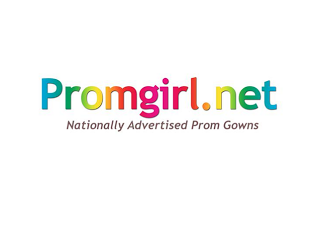 Promgirl is not just for proms. It is for every formal event you can possibly imagine, or maybe you're just attending cocktail hour. At my age, I'm not attending proms, unless chaperoning. However, weddings and cocktails have a ton in common.... they require a cute dress and shoes. This online store has everything, even accessories. I received the Gold Clarisse Babydoll dress for review. It is sparkly, pretty and has this tulle skirt that makes you feel like a ballerina. 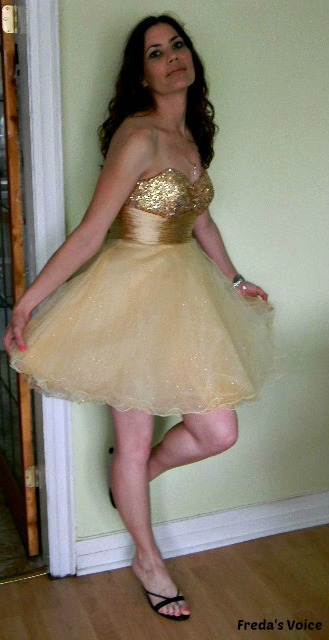 I felt like such a princess with it on, I was only missing my tiara! I added it to Facebook and immediately received over 50 likes. So the majority of people who see the dress agree at how FABOOSH it is!! Looking forward to rockin' it this summer at this soiree I'm attending. Please check out my previous post where I'm wearing a silver Clarisse dress. I've never seen one of those high glittery shoes. Prom girls would love it, I'm sure. You look cute in that gold dress, Freda.